Just ten years ago, Turkish Parliament Speaker Bulent Arinc recalled a dramatic scene. One diplomat dropped his teacup upon hearing that he was posted to Mongolia with 5,000 USD, special residence, and a car — a lavish job at that time. “How can I live there?” the diplomat reportedly asked, according to Arinc. He noted that there are, however, some highly qualified Turkish teachers who defied the odds and went to teach Mongolian children with only $300 salary. The schools are part of a vast global network of a U.S.-based cleric, arch nemesis of the Turkish president, and have ranked as Mongolia’s leading private educational facilities for many years. Most of the teachers were imported from Turkey’s leading prestigious universities, and many graduates of these schools had a chance to study in Turkey, Europe, and the U.S., a privilege that was unthinkable during the Cold War. Since the failed military coup attempt, Turkey has escalated its full-fledged campaign to put pressure on dozens of countries to curb activities of a movement led by Fethullah Gulen, who is living in a self-imposed exile in rural Pennsylvania. In democracies, President Recep Tayyip Erdogan had a hard time. In many poor and undemocratic countries, however, the Turkish government could successfully convince host nations to shut down schools and companies of the movement. These countries include poor ones such as Somalia and Equatorial Guinea, or Turkey’s close allies like Jordan and Azerbaijan. 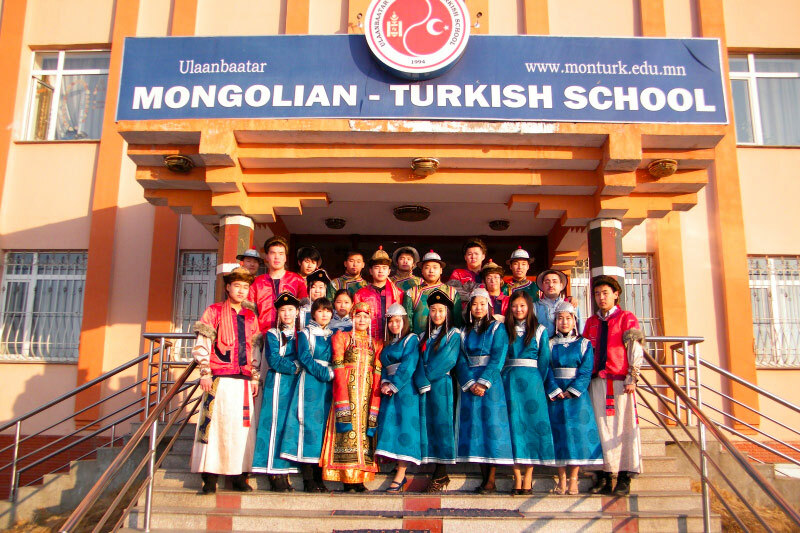 Since July, Turkey has accelerated its efforts to force Mongolia to shut down Turkish schools, or better, transfer them to Maarif, a Turkish government-run company that seeks to emulate the Gulen movement’s international school network. This week, Turkish lawmakers Nureddin Nebat, Abdulkadir Akgul, Resit Polat, Fehmi Kupcu, Ziya Aktunyaldız, Erkan Haberal and Bulent Yener Bektasoglu were to visit Ulan Bator that includes meetings with Mongolia’s foreign and defense ministers as well as the Parliament speaker. The first and the most important item on the agenda is closing Gulen’s school. Cem Sultan Aktas from the Foreign Ministry is also among the visiting Turkish delegation. Prior to the visit of the lawmakers, Mongolia’s local press started speculations that Ulan Bator would shut down the schools, seize Turkish companies and deport Turks at the request of Ankara. On Oct. 13, Education Ministry Undersecretary Yusuf Tekin, who is known to be the architect of decrees that shut down Gulen’s 3,000 prep schools and nearly 950 private schools across Turkey, visited Mongolia to push the host nation to shut down the schools. General Director Bulent Ciftci was accompanying Tekin during the visit. Last week, Serdar Cam, head of Turkey’s state-run development agency, TIKA, was also in Mongolia. Last month, Turkey’s Ambassador to Mongolia, Murat Karagoz, acknowledged that he officially notified the Mongolian authorities about the “upcoming danger” Gulenists posed to Mongolia and that he continues to warn the Mongolian people through the media. His two interviews were published by the Mongolian local media while he penned another op-ed as part of the government-led anti-Gulen campaign. This article originally appeared in Turkish Times on Oct. 27.